A play dramatising key transcripts from the Shipman Inquiry will provoke a "mixed response", it is claimed. 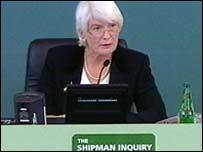 Helen Ogborn, of Tameside Victim Support, who has worked with relatives of Shipman's victims, has however welcomed being told it will be staged. "Beyond Belief: Scenes from the Shipman Inquiry" will be performed at the Library Theatre in Manchester. Directors stress they hope the show can be part of helping society ensure such atrocities can never happen again. Chris Honer, the theatre's artistic director, said the show, which will be staged in October, is not designed to be a "ghoulish" look at individual cases. "We're not going in for the details about what he did to his victims, " he told BBC News Online. "But I think one of the jobs the theatre can do is highlight issues of concern like this and address how such a tragedy or atrocities like those carried out by Shipman might have been avoided. "I hope it can also help in asking the right questions about how it can never happen again." Mr Honer said he could understand if those people directly affected by Shipman's killings were either unable or not interested in coming to see the show. Ms Ogborn said she was pleased the play's directors had contacted her about the show. "What we have always tried to do here is keep everyone informed - the worst thing would be if people just heard about it," she said. "But there will definitely be mixed views on it. There will be some who will feel they just don't want what happened being brought up yet again. "There will be others though who will say if this is helping in getting information out there to stop the killings happening again it is a good thing." 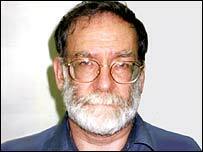 Are patients safer after Shipman?